If you are a gold lover in search of some fine jewelry, you can’t go wrong with Italian gold. Italy is widely known for its yellow gold and traditional, high-quality, precise designs. Jewelry from Italy is considered one of the best, and people all over the world have enjoyed it for centuries. You should be careful when you buy Italian gold, though. Most jewelry in Italy is 18-karat gold or higher. In Europe, they use a fineness mark instead of karat; it indicates the content of gold on a numeric scale. So, for example, a 14K gold from Italy is marked as 585; 18K gold is .7500, 10K is .4167, and so on. Two most commonly forged marks on base metals are “14K Italy” and “585”. These forged marks often appear on pieces with no gold content. That is why one should be extremely careful with Italian gold. In addition, beware of items described as “gold-filled.” Such pieces are made of base metal to which a coating of gold has been attached. The gold in this coating is 10K at least. The standard practice is to use only 10% of 12K gold to make gold-filled coating. That actually means that the gold on gold-filled pieces is only 5% pure. There is also “rolled gold,” which contains a gold coating that is only 2.5% pure. At The Gold ATM, we get a lot of questions about Italian gold. We are the highest-reviewed gold and diamond buyer in Atlanta, and we buy Italian gold as well. Our rates are the best in the city, and we even offer jewelry loans on Italian gold. Bring your foreign jewelry to our offices, and we will be glad to give you a free evaluation and an honest offer. We have over 250 five-star reviews on Google, and our customer support is what sets us apart from others. Your experience will be both informative and personal since we provide one-on-one interaction for all our customers. In addition, we have created a pressure-free environment; our customers are under no obligation to sell if they are having second thoughts. Our locations are safe and secure; we operate out of a high-rise office building located in Smyrna, and we have two additional offices, one in Buckhead and another one in Roswell. 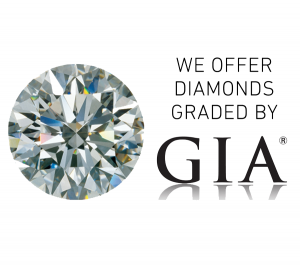 Feel free to pay us a visit and see for yourself why we are the most trusted gold and diamond buyer in Atlanta. For additional information about our services, you are welcome to visit our website. You can also visit us at any of our safe and secure locations. If you have any additional questions, feel free to contact us. We invite you to come experience The Gold ATM for yourself.